A busy weekend of wedding cakes kicked off on Friday 25th May when I delivered a 3 tier semi-naked wedding cake to The Old Parish Rooms, Rayleigh for Danielle and Mark. 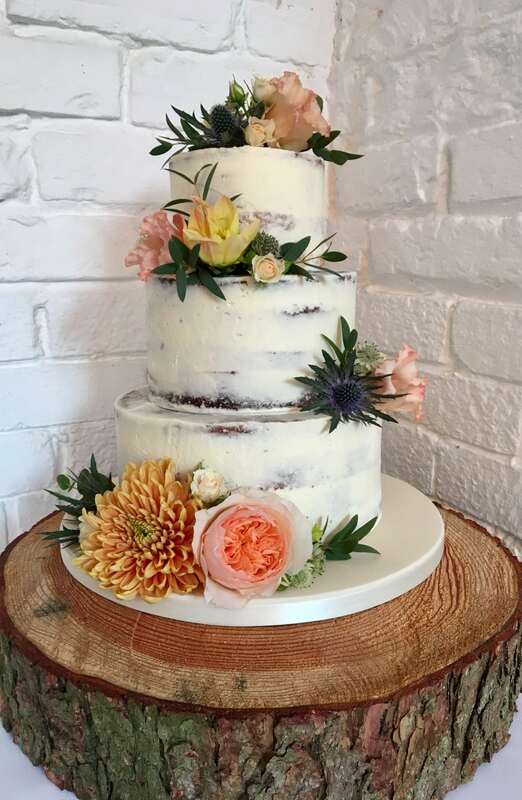 Their wedding cake was decorated with fresh flowers which were supplied by their florist and they also hired my log stand to display the cake on which looked gorgeous! They chose yummy flavours of Victoria Sponge, Rich, Dark Chocolate and Strawberry and Champagne. Sending you both huge congratulations and I wish you a lifetime of happiness for the future!